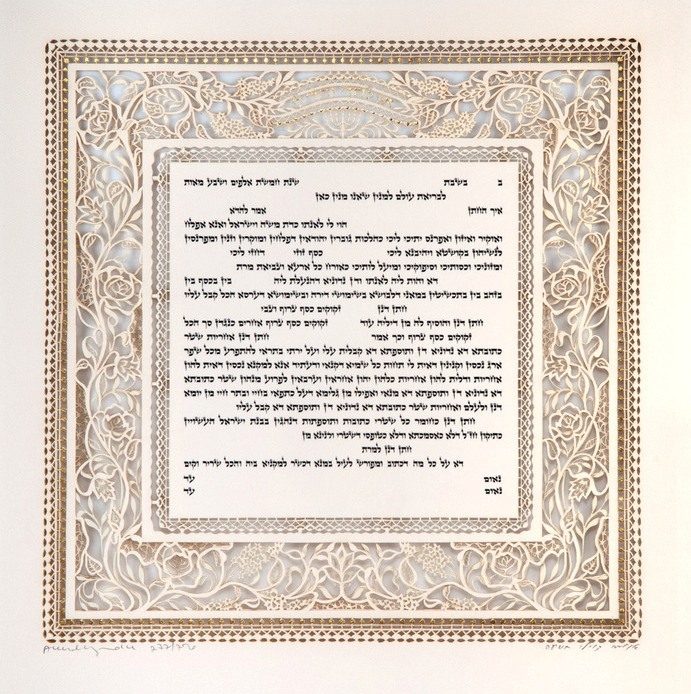 All of Daniel Azoulay's ketubahs are by the giclee method – modern day lithography – paper cut on the fine acid-free paper, and hand-embellished with 24 karat gold leaf. 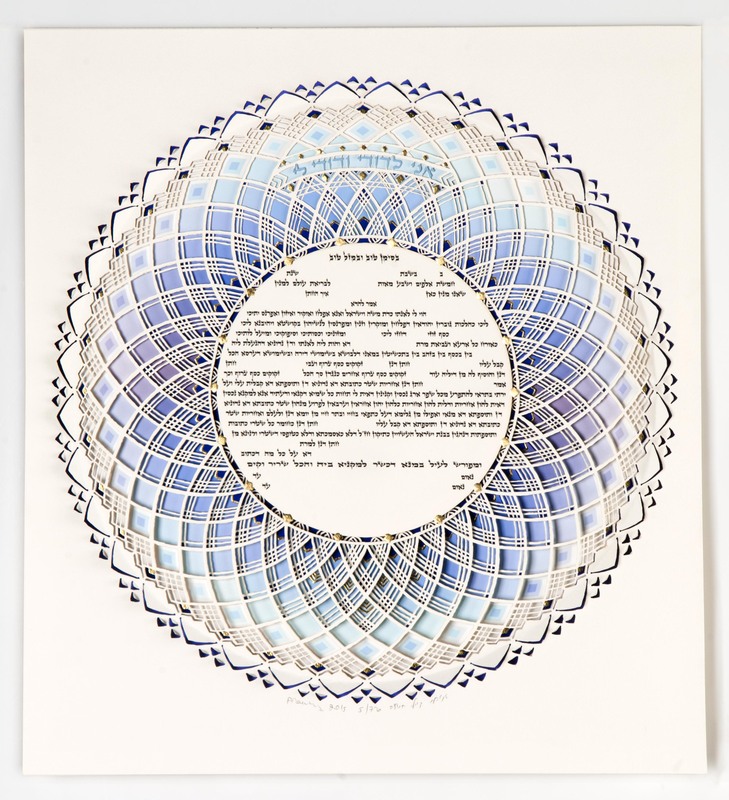 Each ketubah is dated, numbered and signed by the artist and is one of a limited edition. It not only imbues the marriage ceremony with beauty, but is an artwork to be lastingly treasured by future generations. 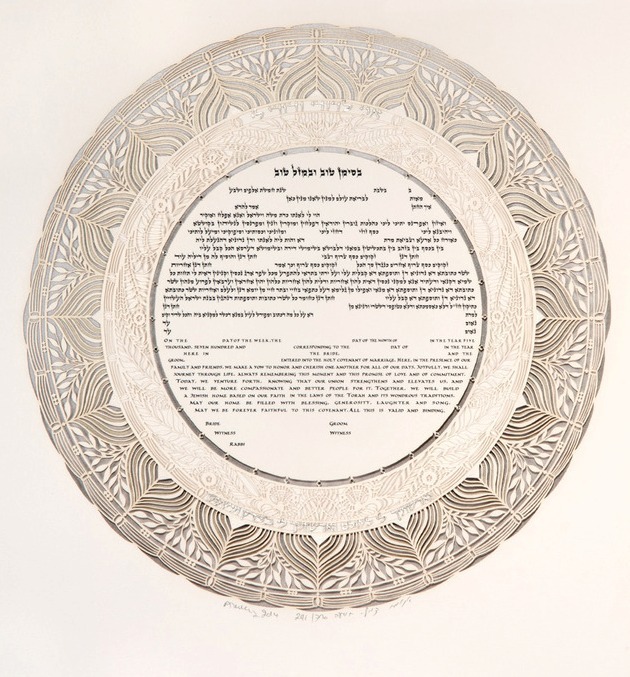 It is the new couple's first family heirloom.